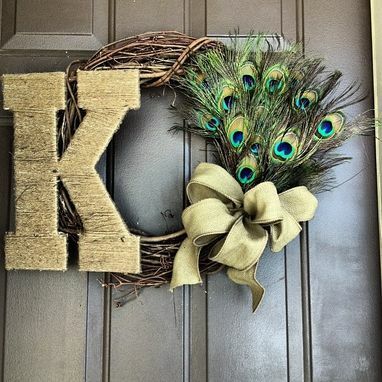 This Peacock Monogram Wreath is a twist on the new tread of door monograms! Each wreath will be customized with your own initial. Perfect for indoors or outdoors. Made from grapevine, burlap, peacock feathers, and twine.